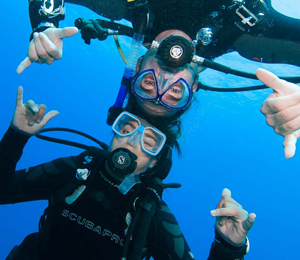 Scuba diving is all about fun but safety should always be the first priority for divers. 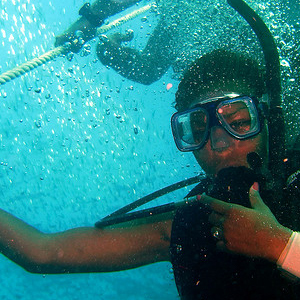 Scuba divers should submerge themselves underwater with confidence as they have several signaling devices. There should be a visual and auditory signaling device that can be used to alert other divers and people nearby. A marine whistle is the simplest audio signaling device that is available for use when scuba diving. Such a whistle can emit loud noises that can travel thousands of feet and possibly alert others. An air horn is a much louder auditory signaling device for scuba diving adventures. In fact, the sound of air horns can travel with high intensity for miles above the water's surface. However, air horns are more inconvenient to carry during scuba diving compared to whistles. 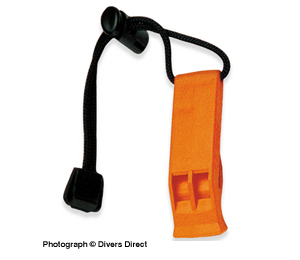 A marine whistle can be easily attached to the breathing mouthpieces and other equipment around a diver's neck area. The most common type of visual signaling device for scuba diving is an inflatable tube. Such a tube usually comes in a very bright color that can be easily seen from far away in the water, on land and in the air. 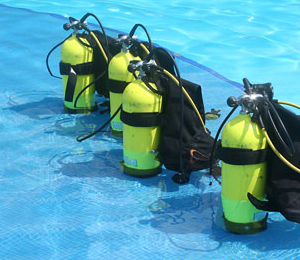 Inflatable signal tubes can be securely attached to the Buoyancy Control Device and other scuba diving equipment. In low visibility conditions, signal tubes reflect light very well during search and rescue missions by boat and helicopter. Waterproof flashlights can also be used as visual signaling device for scuba divers. Surely, the high intensity beam coming from a flashlight can alert someone that is located hundreds of feet away.